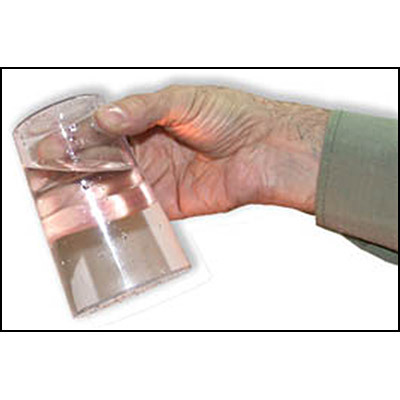 A transparent glass is filled with water. Immediately you cover the rim of the glass with a piece of paper and turn the glass upside down. The liquid remains in the glass! The magician then removes the paper... and the liquid still remains in the glass! After that, the magician announces that the liquid will fall... and following the magician's words the liquid falls! Complete, very easy to do, ready to perform, with instructions. Classic Line's Hydrostatic Glass is made of super transparent heavy plastic and was specially designed, it's size is big and the gimmick fits easy and perfectly. This is one of most effective liquid tricks with the quality of Bazar de Magia.